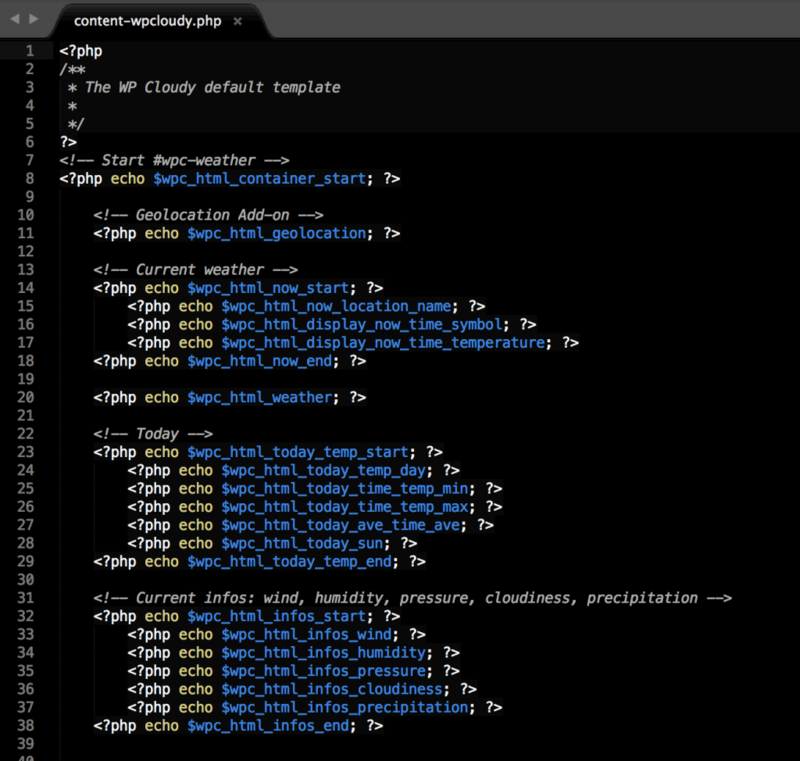 As allowed some plugins like WooCommerce and bbPress, it’s really easy with WP Cloudy to create your custom template to display weather. The main advantage is that you can create a completely personalized weather without changing the core of the plugin. In addition, your changes will not be overwritten at each update. Create a new folder called wp-cloudy (the syntax is important). In this new folder, paste content-wpcloudy.php file. Don’t forget to save and send via FTP your changes. Et voilà! You have built a custom weather template. Notice that every weather on your site will use this custom template. Add some if/else to be more specific if your want.